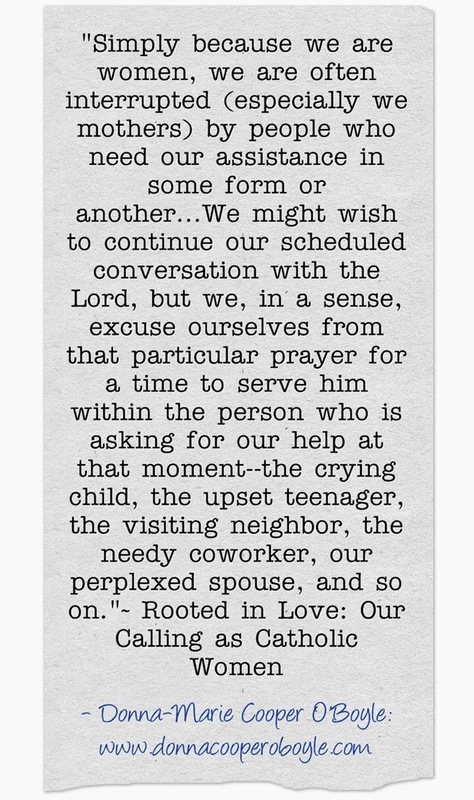 Inspirational for our "ORDINARY" days! Here's a view from my back deck...thinking it's about time to announce a new book give-away contest. Man to Man Father's day book sale! Get Fr. James's book Man to Man for only $10.00 - on sale for Father's day. Reduced prices for bulk sales are available too. Check it out at the Man to Man website here. I have personally read the manuscript and have endorsed this book. My words on the back cover are: "Man to Man couldn't have come at a better time for today's men who are confronted with a myriad of mixed messages regarding their manhood or lack thereof. With eyes wide open to the dangers lurking in today's culture, Fr. James Farfaglia takes a brutally honest approach to discussions of love, marriage, sexuality and family life sure to capture a mans attention. The author urgently invites all men: husbands and fathers to accept the loving heroic role that God has created them for. Man to Man should be on every book shelf. Better yet, in every man's hands. " I hope you'll visit the Man to Man website and think about what man or men in your life could use some encouragement and perhaps some friendly advice from a man who will not steer you wrong. My husband picked up my copy of the book and started reading. He was very impressed. He also said to me, "Sweetie, I need to start treating you better." And that was after about an hour of reading Man to Man! It's worth every penny ladies! Go out and get this book and you'll also be helping St. Helena's in Corpus Christi to build their elementary school. You can see my interview with Fr. James, endorsements and more here. I hope you'll take a few moments to read the endorsements, interview and all and ponder about who in your life could use this book. 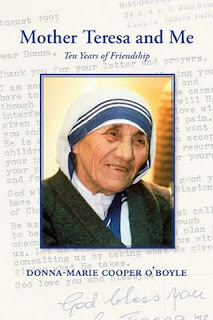 New review for "Mother Teresa and Me: Ten Years of Friendship"
"To read about Bl. Mother Teresa on such a personal level inspires me to do all I can to see Christ in everyone I meet. This frail but feisty soul taught the entire world that God will work through us to touch others; we just have to let Him. In Mother Teresa and Me, Donna-Marie gives us a peek into their private ten-year friendship so that each of us, in our own way, can continue Bl. Mother Teresa's mission of responding to Jesus' words, "I thirst." Through this inspirational and loving tribute, we find that it is in giving away our love that we, in turn, love our God." Visit Nancy here at her website. Guard me, then, O Holy Spirit, that I always may be holy. You can now see my interview with Doug Keck on EWTN's Bookmark television show at your convenience by clicking here. Give it a few minutes to load and you'll be all set. Do you have a few minutes? Like about seven? Want to see something truly inspirational? I saw this on Al Kresta's blog. Thank you, Al! EWTN's Bookmark with Doug Keck! 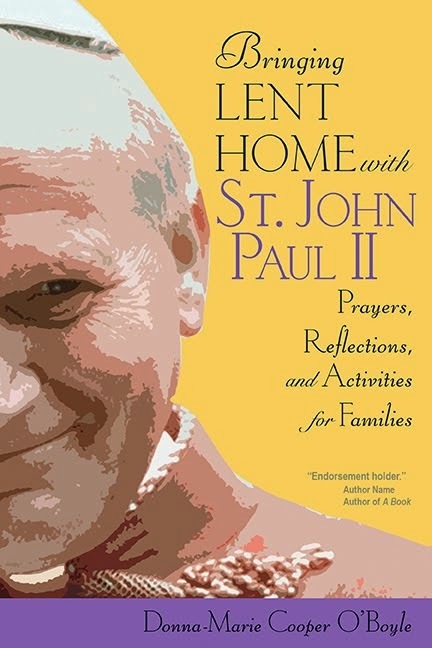 I feel very honored that two of my newest books are highlighted this month by EWTN. 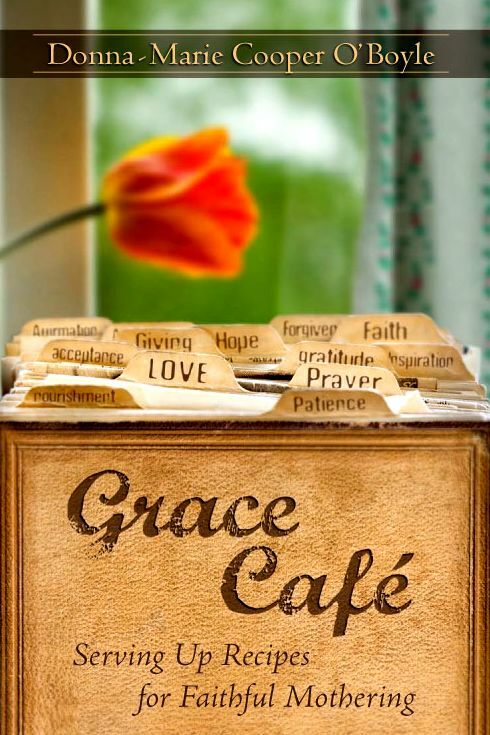 The Domestic Church: Room By Room and Grace Cafe: Serving Up Recipes for Faithful Mothering. My interview on EWTN's Bookmark television show with Doug Keck will air on Sunday, May 23rd. Take a look: here. 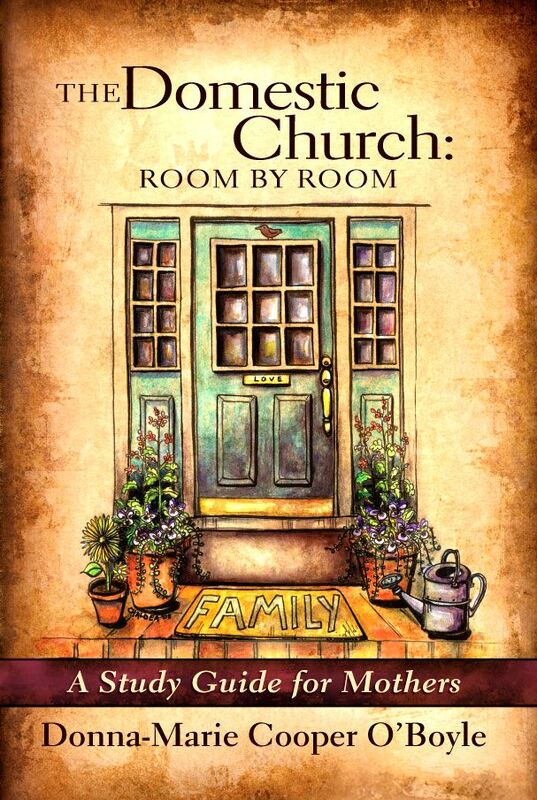 From the EWTN newsletter: "Donna-Marie Cooper O’Boyle and Doug Keck talk about two of her latest books: 'The Domestic Church,' an exploration of Catholicism as it relates to our roles as women, wives, mothers, and citizens of the world; and 'Grace Café,' a treasure trove of resources to guide and instruct mothers in shepherding their families to Heaven." Here are the times and days for EWTN's Bookmark: Sun 9:30 AM ET • Mon 5 AM ET • Wed 5:30 PM ET • Thur 1 PM ET • Fri 11:30 PM ET. LIVE Radio this morning - join us! I will be speaking with Dina Marie Hale, KBVM program director about MARY and MOTHERHOOD this morning at 11:00 AM Eastern Standard time. The Radio station is KBVM 88.3 FM out of Portland, OR. You can listen LIVE at www.kbvm.fm. The station is dedicated to the Blessed Virgin Mary. That's where the "K-BVM" comes from! I will be speaking with Dina Marie Hale, KBVM program director about MARY and MOTHERHOOD tomorrow (Friday) at 11:00 AM Eastern Standard time. The Radio station is KBVM 88.3 FM out of Portland, OR. You can listen LIVE at www.kbvm.fm. The station is dedicated to the Blessed Virgin Mary. That's where the "K-BVM" comes from! 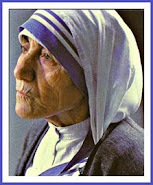 My new Mother Teresa blog - check it out! Continued here on the Goodness Reigns website. 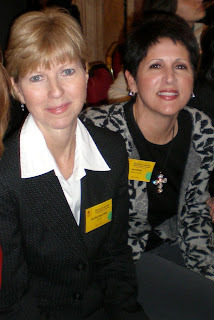 Here's what the judge had to say: “Donna-Marie Cooper O’Boyle’s well written book, Mother Teresa and Me: Ten Years of Friendship, hooked me right from the start. 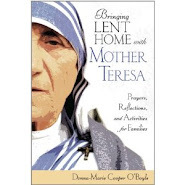 Using letters (or excerpts therefrom) received from Mother Teresa, at the beginning of each chapter, O’Boyle establishes a consistency of approach, style and storyline. Clearly inspired by the life of and friendship with Mother Teresa, the self-effacing and humble O’Boyle describes the journey of answering her own “call” and working toward helping others and having a better spiritual life herself. 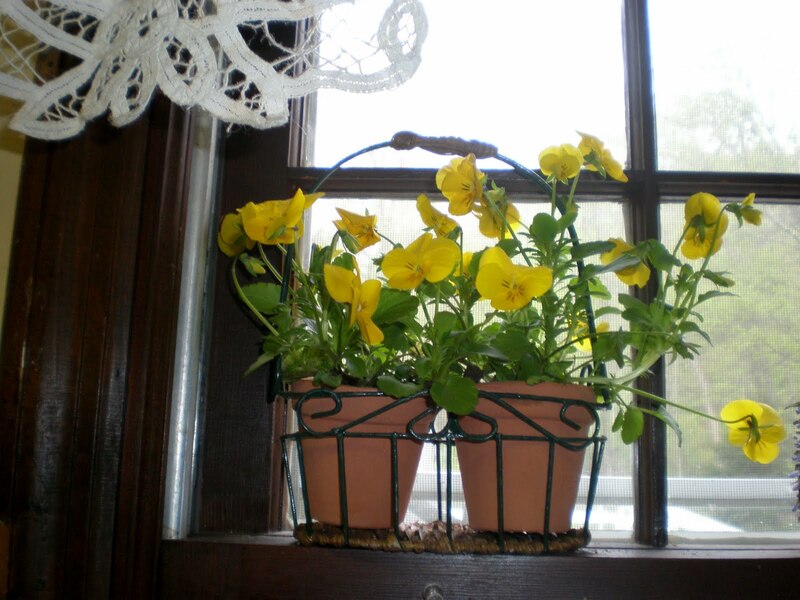 Mother's Day - coming up! How will you celebrate Mother's Day? 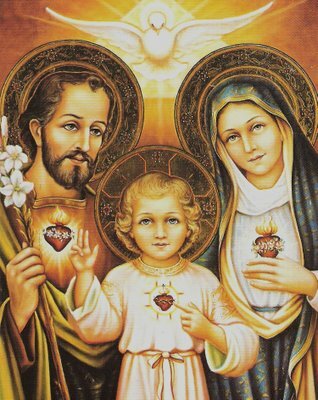 I love that Mother's day is in May--the month of Mary our BLESSED Mother! 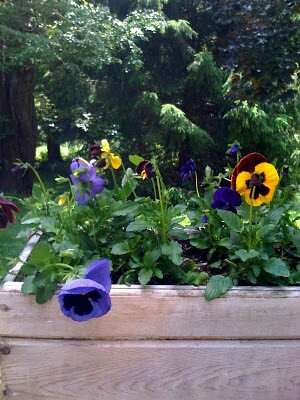 I love that life is bursting forth all around us in nature, such a beautiful time of year. My children bringing me a bunch of dandelions when they were very small or a bouquet of lilacs (my absolute favorite) truly blessed my day. 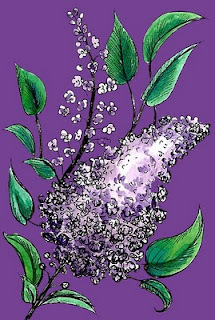 I think the reason I love lilacs so much, other than the fact that they have the best scent ever is that my back yard growing up was filled with lilac bushes. 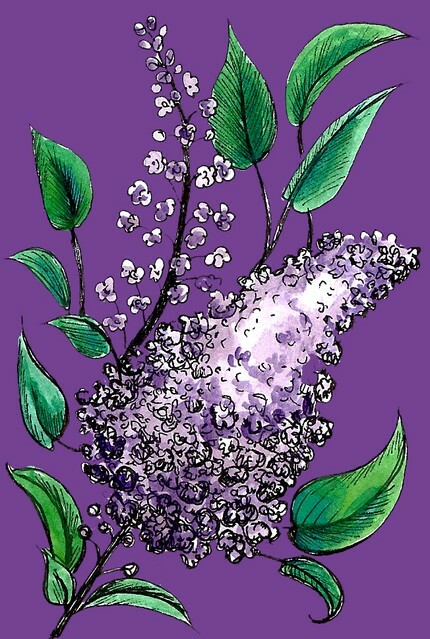 I have such fond memories of picking lilacs with my mother and grandmother and spending time together outside in the gorgeous spring weather. What will you do this Sunday? What's a favorite memory of Mother's day for you? Please share with us here. 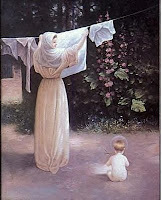 God bless all of you mothers and "spiritual" mothers out there! My interview with Tony Rossi on Christopher Closeup will be aired on Mother's Day, May 9th at 7:00 am and 7:30 pm Eastern on Sirius-XM’s The Catholic Channel (Sirius Channel 159 / XM Channel 117). It will also run on the Relevant Radio network at 2:30 pm Eastern/1:30 pm Central. You can actually listen ahead to the podcast version here. Look near my photo for the button to download the podcast. Get yourself a cup of coffee or tea and pull up a chair. I really enjoyed my time speaking with Tony Rossi. I hope you enjoy our interview! "Surrounded by a sea of white and blue saris, the Cooper O’Boyle family relished the opportunity to pray with the Missionaries of Charity at their convent in Washington D.C. Never could Donna-Marie have imagined, though, that their pilgrimage would begin a decade of correspondence with Blessed Teresa of Calcutta that gave her a unique insight into Mother Teresa’s source of spiritual strength. Humble, unobtrusive, and not much taller than Donna-Marie’s six year old daughter, Mother Teresa lived a simple life. Yet she had a profound impact on popes, presidents, and the poor in equal measure. For most of us, Mother Teresa’s determination to see Jesus in the lepers, the orphans, and the dying seems beyond our capacity to comprehend—let alone undertake. How could she have so steadfastly followed such a challenging call? The answer—or at least a part of it—seems to be her devotion to Mary, the Mother of Jesus. "It almost sounds too good to be true. 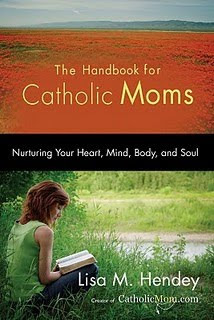 What Catholic mother wouldn’t want to get her hands on a comprehensive guide that will nurture her heart, mind, body and soul? Is there such a book? The Handbook for Catholic Moms promises to be just that. The author, Lisa M. Hendey, admits that most of her training was “on the job.” But, isn’t that where most mothers are qualified, right there in the trenches? She also explains that she may have felt a bit inadequate to write a book designed to give advice on motherhood. Yet, Hendey, who many of us know as the founder of CatholicMom.com and the podcaster of “Catholic Moments,” has come through with an all-embracing look at motherhood and everything it entails — as well as all she feels a mother’s life should entail. Brimming with practical and friendly advice, Hendey paints each facet of a mother’s life with vibrant brushstrokes over a very visible backdrop of faith. This mother’s “instruction” manual consists of four parts: heart, mind, body and soul. Hendey covers such topics as family dynamics, faith, prioritizing prayer, cultivating creativity for your mind, fitness, good health, personal productivity, time management, finances, single parenting, lifetime learning and saintly inspiration. We learn about Hendey herself in “My Story,” which begins each chapter and draws the reader into a relaxed “conversation.” Sidebars by noted authors and experts enhance the motivating chapters, and insight from other mothers, quotes from Church documents, the Catechism, the saints and Web resources are sprinkled throughout. 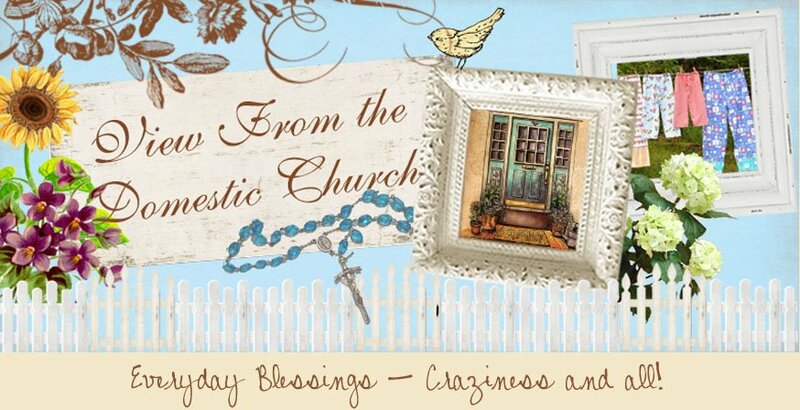 The overarching theme: how to weave faith through every aspect of mothering and of being a woman. In Chapter Twelve, “Cultivating Creativity,” Hendey tells us that moms may be focusing exclusively on the talents that enable them to serve their families and forget about their other talents. 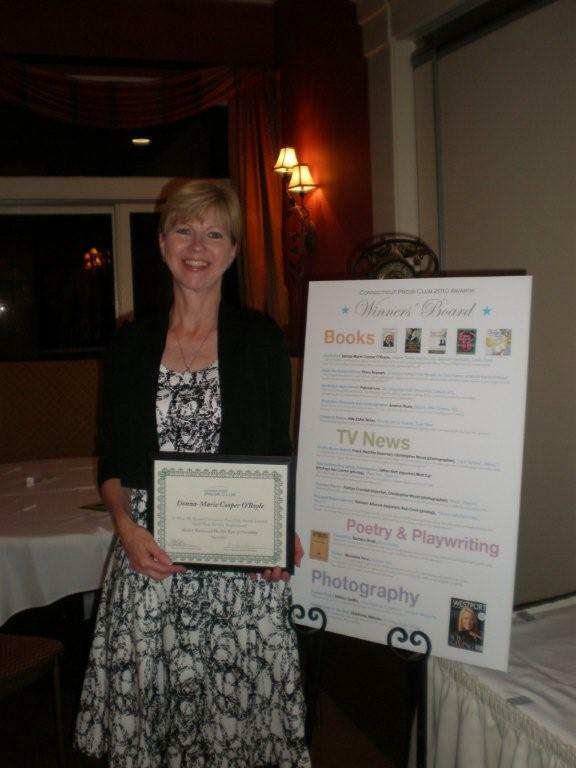 She encourages mothers to get creative and perhaps discover a new talent. She offers practical ways to squeeze some wholesome fundamentals into our jam-packed lives. 'These days, as full as my life is, I block off time every Wednesday morning for one of my favorite hobbies, knitting. The truth is, I’m not a great knitter and I’m very slow. As I write this, I have been working for the past 14 months on one pair of socks. My fellow knitters bear with me patiently as I join them weekly for friendship and bonding around a common love of yarn. I rarely knit outside of that particular Wednesday morning time period, but look forward each week to the challenge of completing a project on my own and spending time in fellowship with wonderful friends. 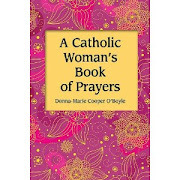 This book has something valuable to offer every Catholic mother. 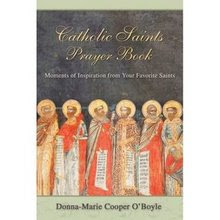 Donna-Marie Cooper O’Boyle is the author of The Catholic Prayer Book for Mothers." May - what a beautiful month! 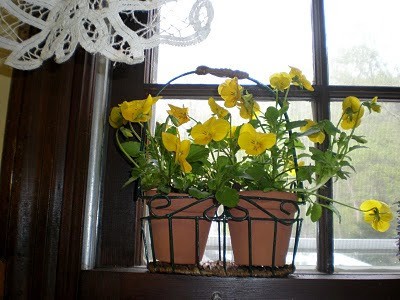 It's full of new life springing forth and our Blessed Mother's month too. Do you feel inspired in the spring? Does it feel like a rebirth to you? I love the spring. I enjoy the outdoors and going for walks out in God's beautiful creation, praying my Rosary along the way. What gets you excited about this time of year? What are you doing with your kids? How are you passing down the faith in your "domestic church?" Please share your thoughts here. I'll be back soon with a spring reflection. 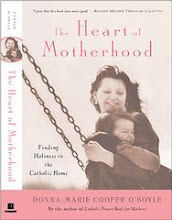 "This week, in anticipation of Mother’s Day, I will be featuring interviews with and books by Catholic moms. Today I’m talking with Donna-Marie Cooper O’Boyle, author, speaker and host of EWTN’s 'Everyday Blessings for Catholic Moms.' Her first book was the “Catholic Prayer Book for Mothers” (Our Sunday Visitor, 2005), which immediately hit the Catholic bestseller list. She followed that up with “The Heart of Motherhood: Finding Holiness in the Catholic Home” (Crossroad Publishing, 2006). 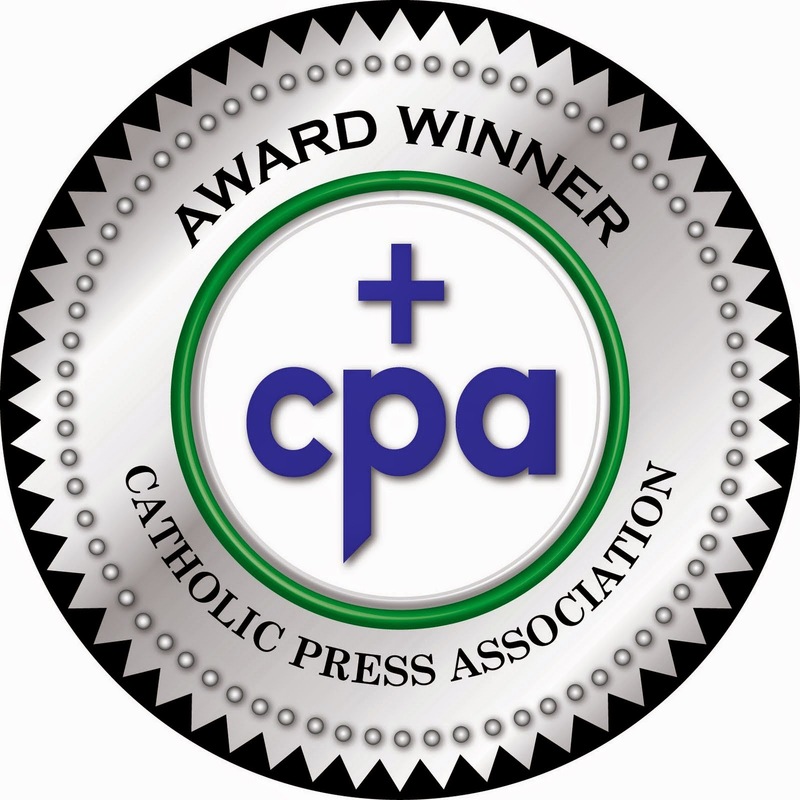 Here’s what Donna had to say in an email interview about Catholic moms and the struggles they face..." Continued here.